We serve people - just like you - who are experiencing legal problems. 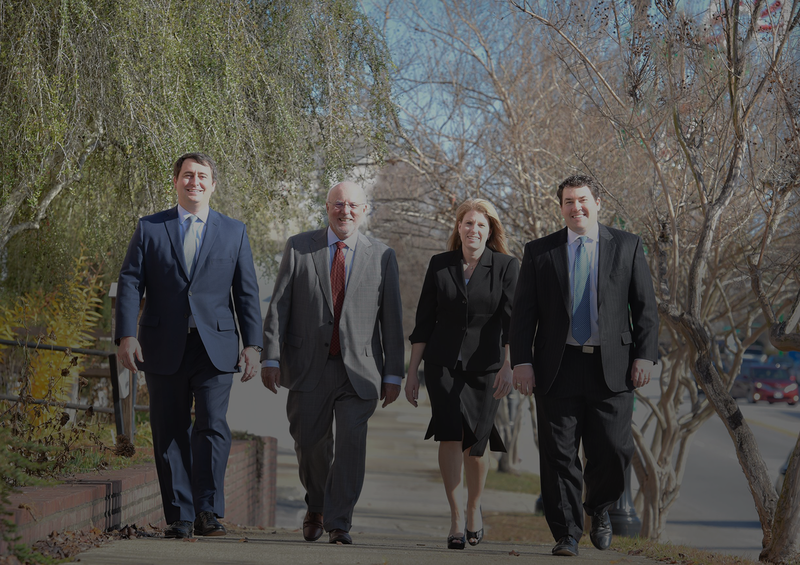 We practice personal injury, criminal defense, and family law with your best interests at the forefront of our minds. Yes - accidents happen. But what happens when the accidents was not your fault? For example, what happens when you are hit by a car that ran a red light? Or when you are bitten by a neighbor's dog? Or when you fall on a wet floor that had no warning sign? Or when your physician is negligent? If you have suffered a personal injury, someone has to pay. We will work hard to get you the compensation you deserve. If you've been charged with a crime, you want somebody who will give you straight answers not false hope. Reassurance, not a runaround. Most of all, you want someone who will fight to protect your rights against charges ranging from speeding tickets, to marijuana possession, to violent crimes that permanently impact your life and future. This is what you can expect from Speedy, Tanner, & Atkinson. Divorce is usually more than two people going their separate ways. It is the breaking up of a family and a home. Many times children are involved, so parents have to try to get through this with the least amount of emotional turmoil possible. There is no way to make issues of divorce, property division, child custody, and other family law issues easy, but Speedy, Tanner, & Atkinson can help shoulder the burden. In addition to decades of longevity, what sets Speedy, Tanner, & Atkinson apart from other law firms is that we think of and treat our clients as neighbors. When clients call us, they are able to talk a live, compassionate voice who wants to help. We not only put our minds into your case, but our hearts as well. The outcomes of the types of cases we deal with can have consequences that last a lifetime, so we know the importance of giving each one our full attention. While we have roots in the past, our eyes are on the future - your future. Over the years, we’ve built our business and reputation on integrity, honesty, and hard work. If this is the kind of law firm you want to work with, look no further. You have found us. "Mrs. Carrie Tanner was our Attorney in the adoption of our daughter. We were very impressed with the way she represented herself and our family. She is an amazing person and attorney. Her passion for what she does definitely shows! Thanks Mrs. Tanner for doing what you do and doing it well! Sincerely thankful. " "Hi Zack, just wanted you to know C is working and doing great. I think of you often and pray you are doing well. I will never forget what you did for our family. You are very special to us. God bless you and your family. " "When my case came to trial I felt so confident when Mr. Speedy showed up in court with Zack Atkinson and Trey Cook. When my case was resolved I could tell that they were genuinely happy for me. If it weren't for Mr. Speedy I could be sitting in jail for something I did not do. I can never repay Mr. Speedy for what he did for me. "